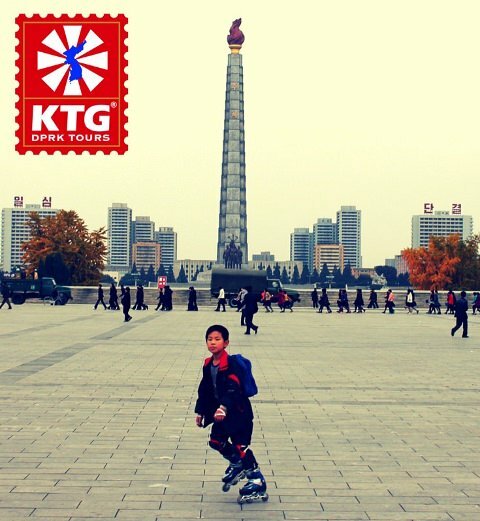 Pyongyang to Rason with KTG - exploring the DPRK by train with locals! 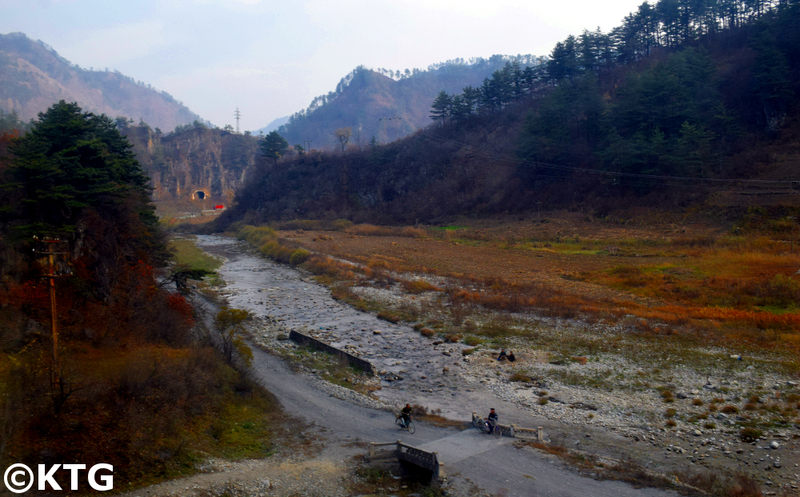 On 1st November 2017 Rayco from KTG decided to check the new regular train route that goes from Pyongyang to the far northeast of the DPRK that borders Russia and Jilin Province in China. 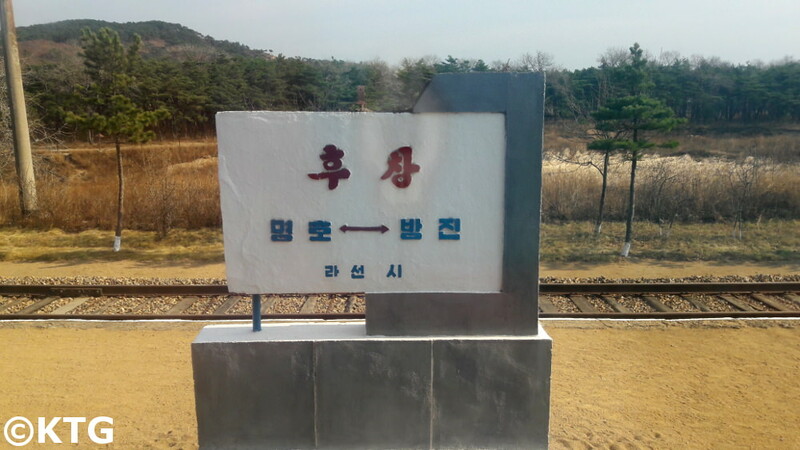 This special economic zone is known as Rason (Rajin and Sonbong). Golden Triangle Bank in Rajin (Rason). Rason is a Special Economic Zone in North Korea and my final destination on this train trip from Pyongyang. 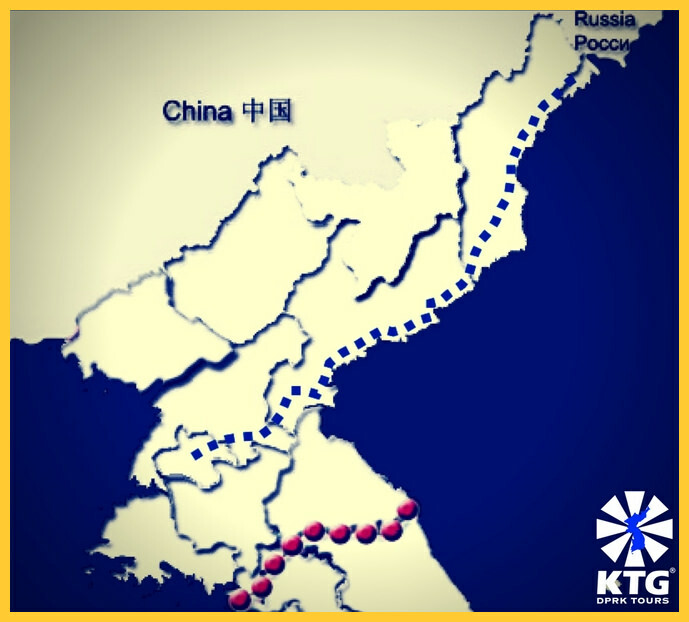 This is a unique route that allows us to share the train with Korean workers going to work in Russia. 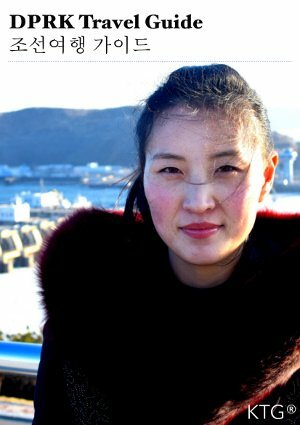 We also spend the 30 hour journey without our guides from Pyongyang as they stay in the capital and our guides in Rajin will pick us up at our final destination. This is not a chartered train from Pyongyang to Rason, but a regular local one. We start the day nice and early, leaving the hotel at 7.20 as this train leaves earlier than the one to Beijing. 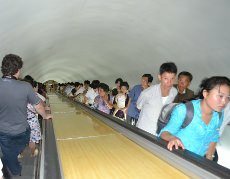 As I look around Pyongyang station I notice a long train of carriages and a platform full of locals, luggage, boxes. 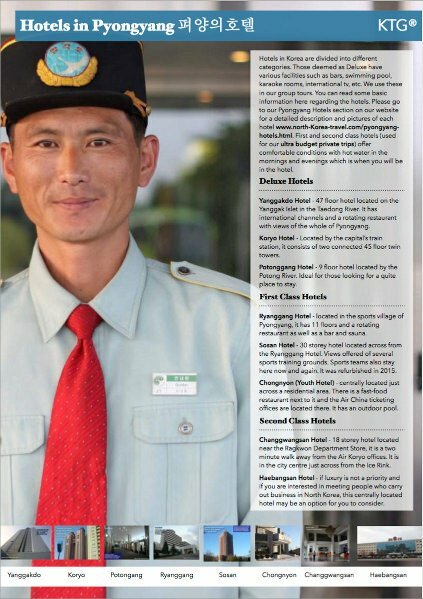 This train goes across the DPRK and then up the east side of the country stopping at major cities such as Hamhung (the second largest city in the country) and Chongjin (third largest city). The blue dotted line is the train route taken from Pyongyang to Rajin. The red dotted line is the DMZ. I'm seen off at the train station and, after saying our farewells I set off. A lot of curious and friendly Koreans in the carriage. My friends in Pyongyang had warned me about the chances of the train being delayed caused by possible electricity cuts and reassured me that the guide in Rajin would wait for me at the train platform regardless on how delayed the train would be. The sleeping compartment is comfortable, with four beds per compartment, but the there is no restaurant carriage as such. As a result I had to stack up on instant noodles, water, biscuits and other snacks the day before making a quick stop at the Kwangbok supermarket in Pyongyang (the only place in Pyongyang where we can use Korean won). 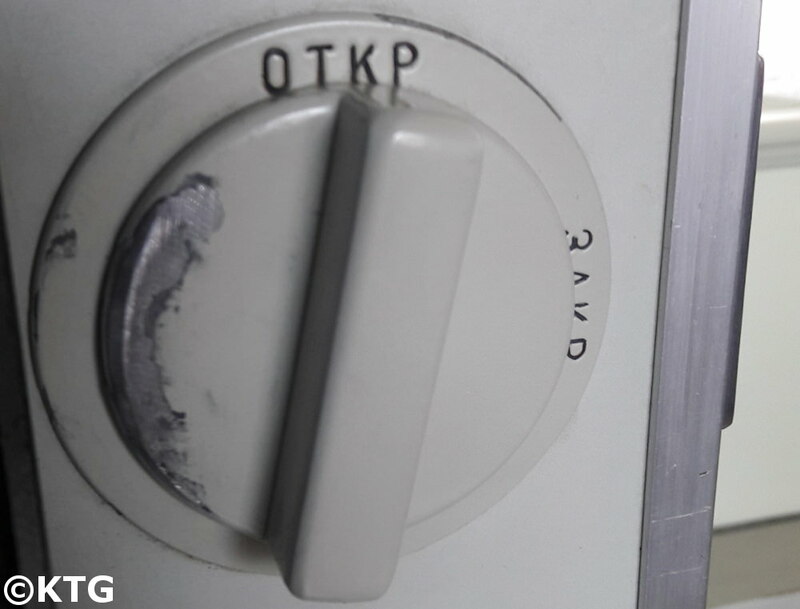 Our carriage has two hot water boilers for instant noodles & tea and two seater toilets which are regularly washed. There are as well electric sockets to charge up your phone, electric shaver, etc, for the long road trip ahead. One side of the carriage is literally blocked with boxes and luggage. The other side has an open door with great views of the landscape and of the rail track. 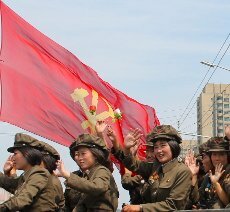 We are the last wagon of this long chain of carriages snaking its way up to the far northeast of the DPRK. I take a nap. At around 6 pm the train suddenly halts. I hear a lot of noise, people getting off, people getting on the train, boxes being dropped off, sacks being loaded on. As I look out of the window I see the characters 함흥. Wow, we're in Hamhung! I’ve been in this industrial city several times, but never seen it from the train station. What a busy station. People coming, people going. Suddenly the train staff members uncover a plank from the floor in the train corridor and fill it up with some sacks. Who would have thought the there was a small storage room under the train floor! The next morning we arrive at Chongjin. A Korean traveller tells me that we will stop here for a while. So most of us get off the train and hang out at the platform for a while. Korean men love to smoke. A beautiful blue sky. We're close to our destination. A few hours go by and we cross into Rason. 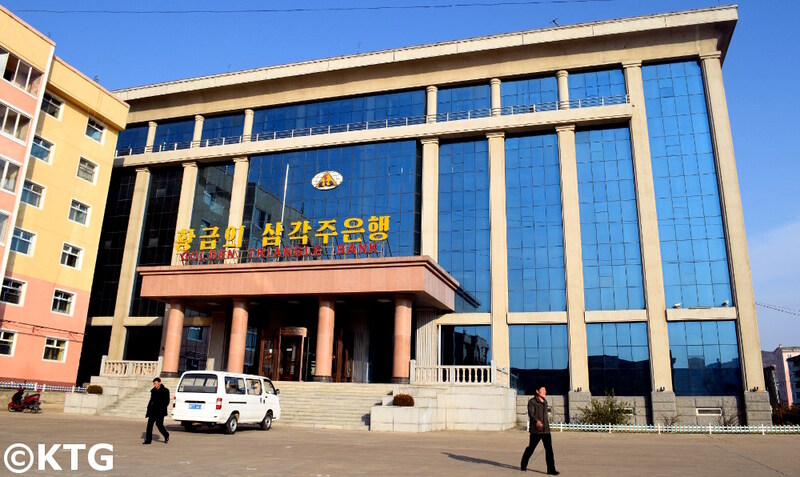 As Rason is a special economic zone it has its own customs for both foreigners and locals. The train conductor tells me to prepare my passport, and shortly after two officials come in. They look surprised to see a westerner. One says it his first time to see someone from Spain. They scan my passport and hand it back. They're very friendly. A few hours later some of the people on the train get excited. "Bali ora" I hear "quick, come!" as they point out of the window. "Bada!" - the sea. Shortly after it is my stop at Rajin. As I say goodbye to my Korean travel companions who will head on to the town of Tumangang and then further on to Russia, our local partner in Rason, Mr. Kim, greets me at the train platform. I am to spend a few days here before exiting by bus to Yanbian, in China. There was no train delay. 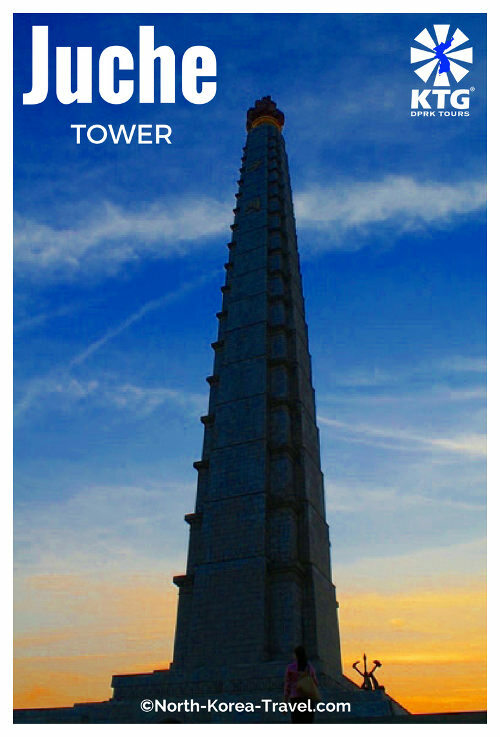 Please contact us at KTG if you would be interested in visiting this special economic zone in North Korea. 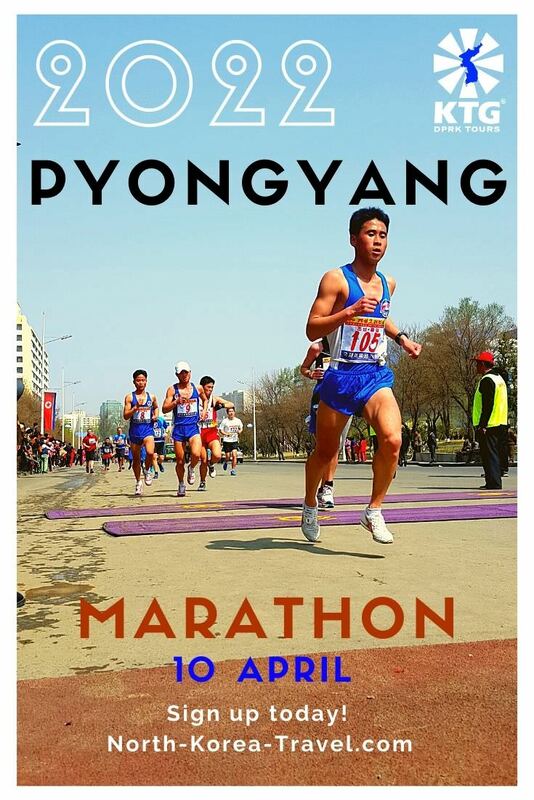 We can arrange for you to enter via Jilin province in China, fly to Orang from Pyongyang or take this fascinating train ride from Pyongyang!